Finally got around to getting my weight loss tracker page up to date… Since August 2009 I’ve tried a couple of times to lose 100 lbs in a year and have started off successfully but as anyone knows, who tries to lose weight, it ain’t easy. 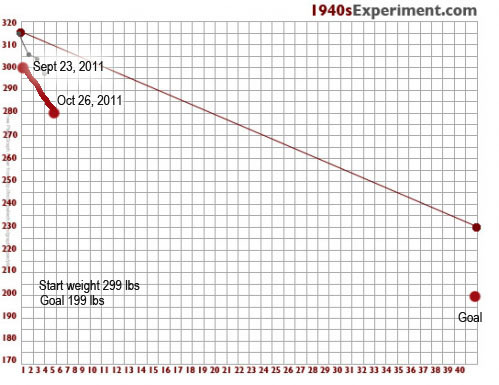 So I started again on September 23rd and to date I have lost 19 lbs. “Have you seen this little gem from 1941?”…. Well I hadn’t, and it IS a gem! Just listen to the voices…. quite wonderful! I just made my first Skype phone call! I am soooo behind the times! I’ll let you know when things come together and the first one goes out! You can tell I’m excited right? Weee Heee! I THINK there has to be some live food sampling complete with sound effects…. what do you think? 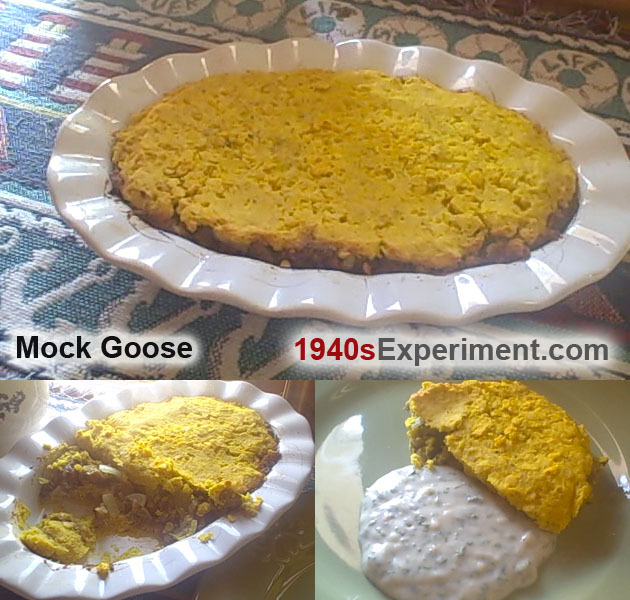 I’ve seen two or three different versions of the recipe for mock goose but I chose the one without cheese and with lentils as I of course had to eat it for my lunch and as a vegan there wasn’t really a wartime alternative for cheese.. The recipe was quite nice and I’d make it again but I can’t see it being very popular with children! 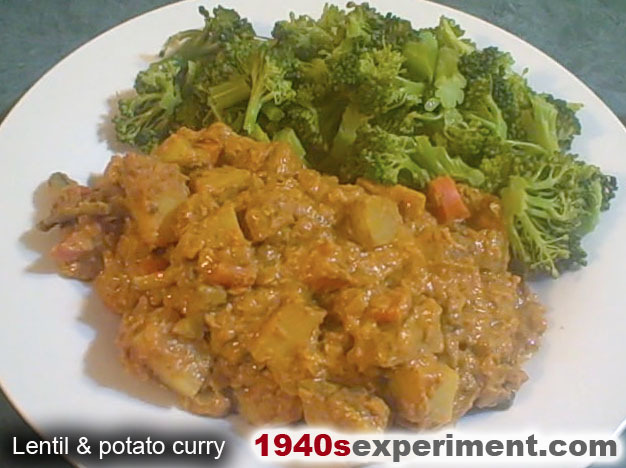 I based this recipe on an authentic carrot curry recipe (which wasn’t very inspiring) which I have already re-created on my blog. This version however is totally awesome and I enjoyed a large plateful last night served with fresh broccoli and I have the same packed for my lunch today at work! Add curry powder (or turmeric, cumin and chilli powder), salt and pepper, thyme, parsley and your sweet chutney. I served mine with some lightly cooked fresh broccoli but you can serve with rice or anything you wish. I’ve been a pig tonight… I have made a recipe that feeds two and ate it all myself. 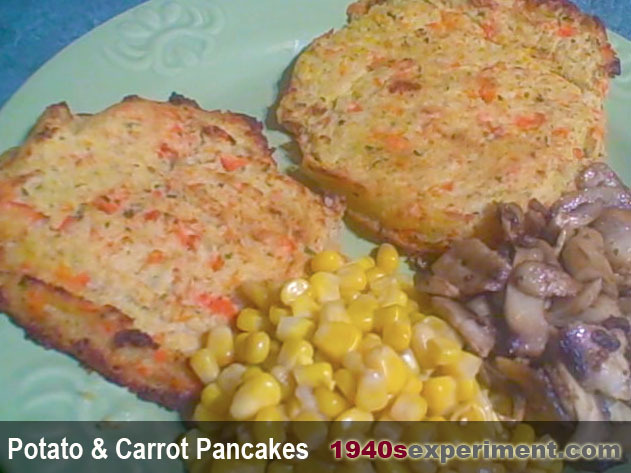 Luckily the ingredients would have been readily available and are not on ration. I couldn’t help myself… it was sooooo delicious! Pan fry in just a little fat so it develops a deliciously crisp crust.